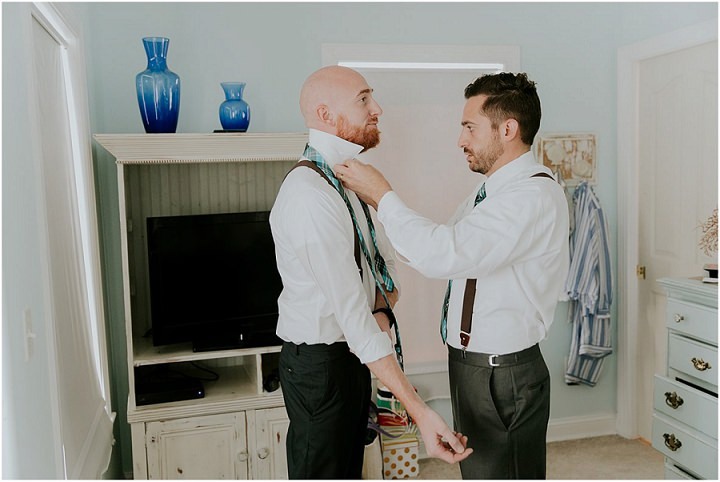 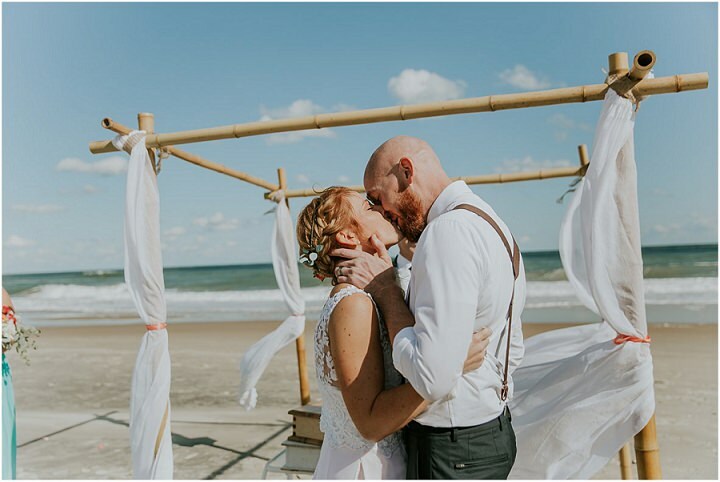 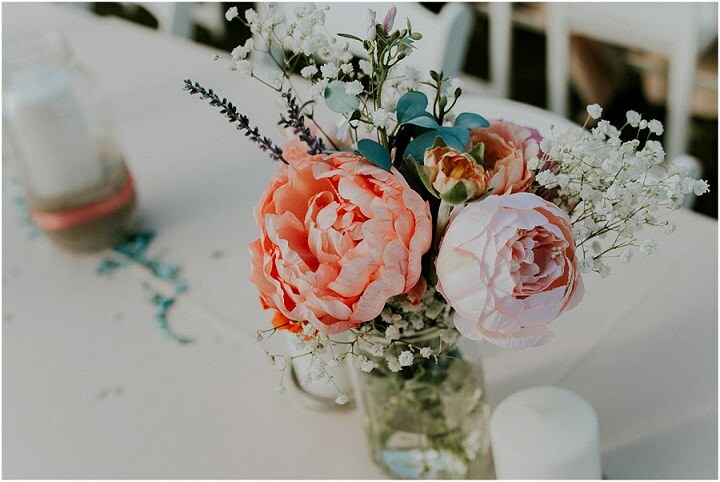 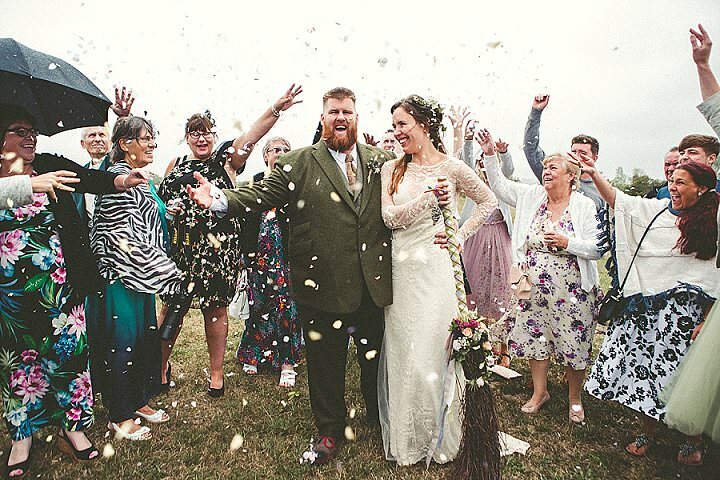 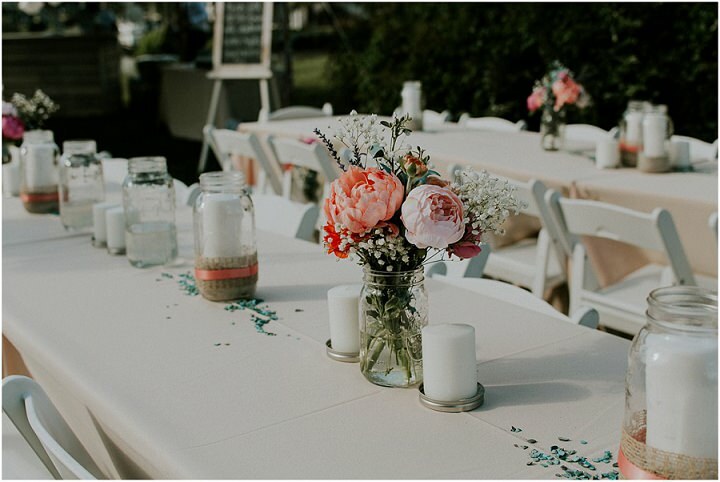 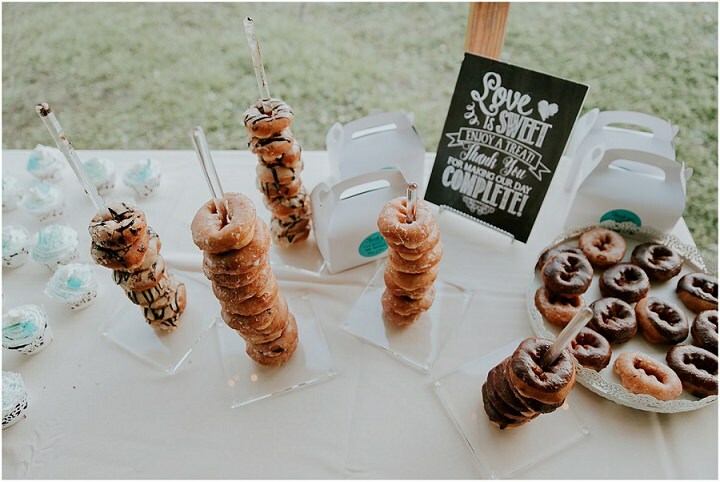 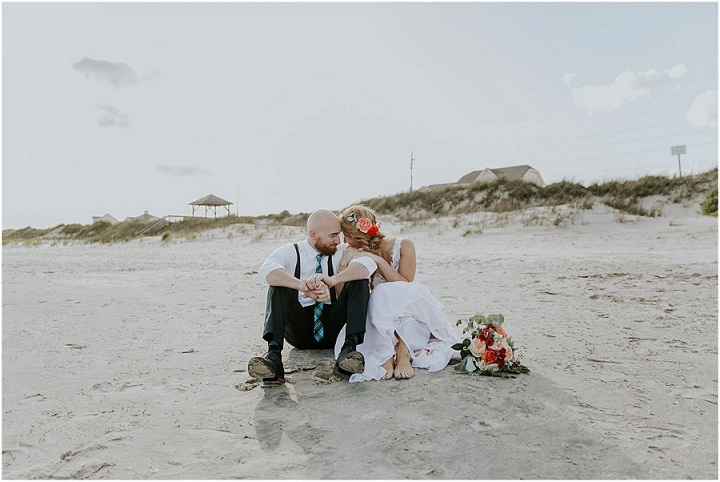 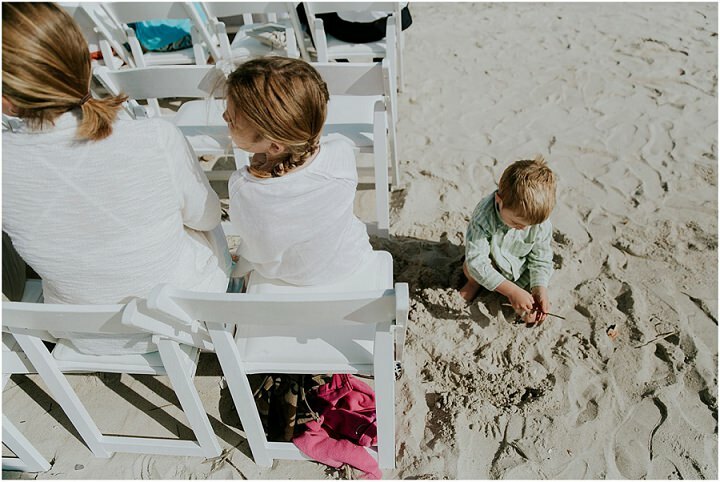 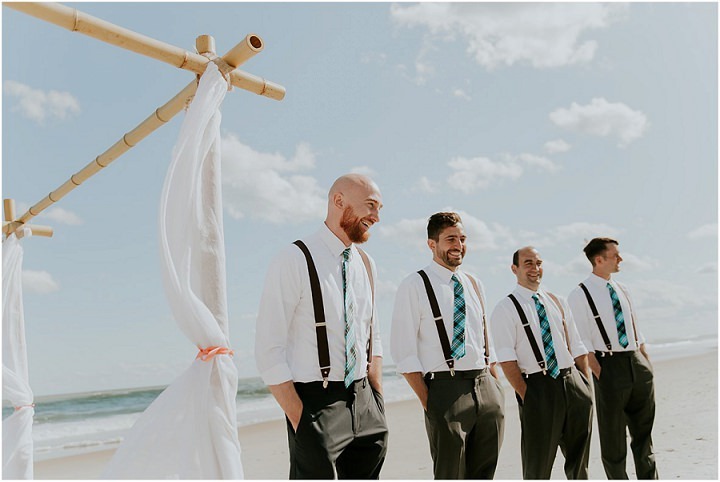 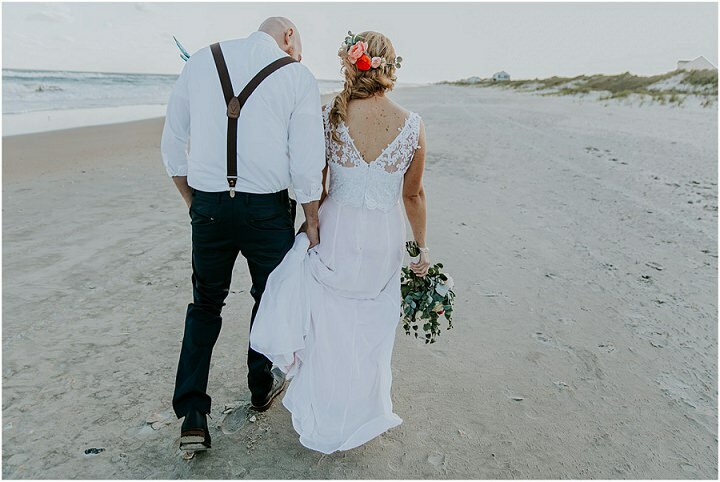 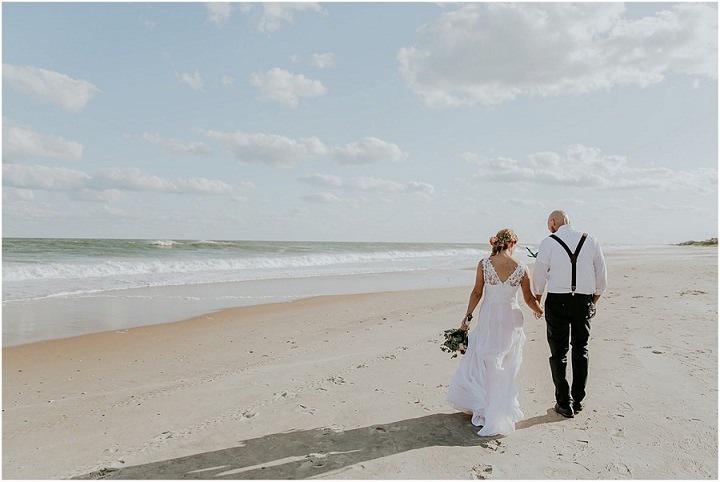 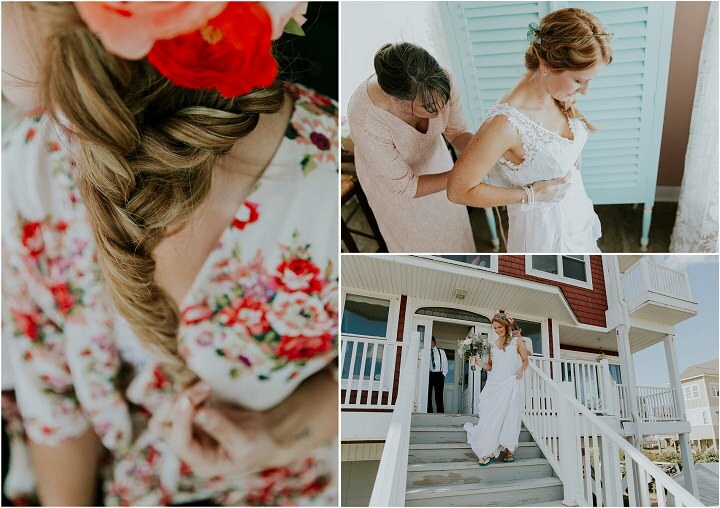 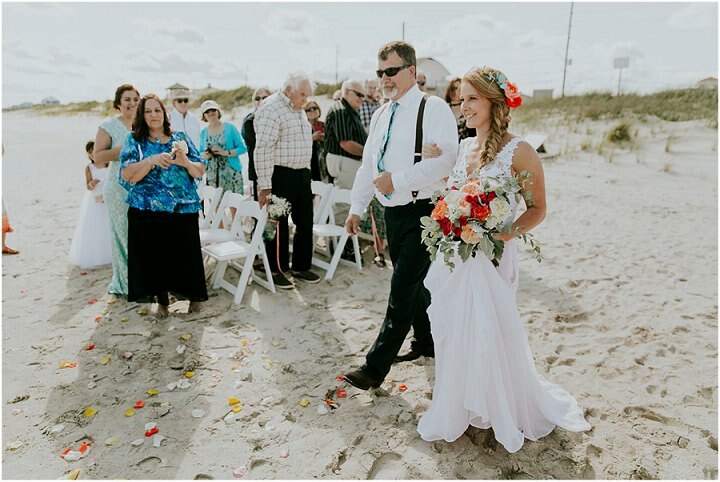 Happy Friday everyone, while I am enjoying the last day of my holidays in not so sunny Cornwall, I have this gorgeous sunny North Carolina beach wedding to share with you. 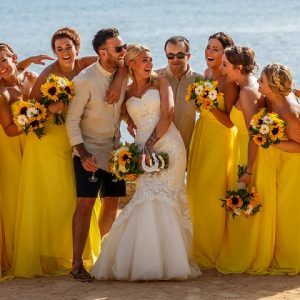 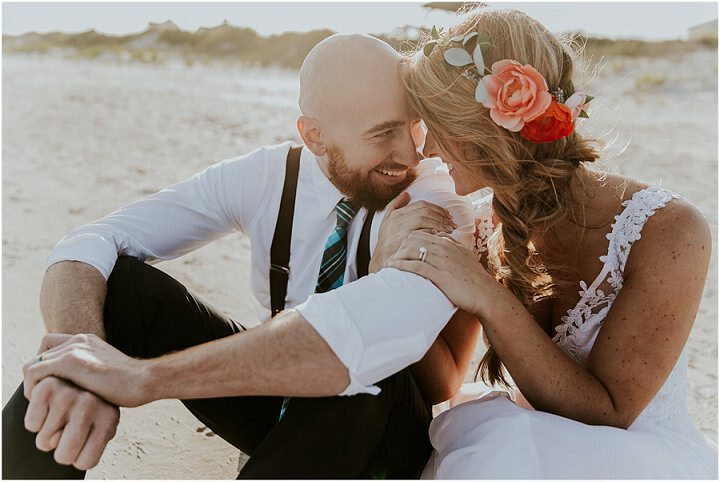 Jessica and Jason were married on the 13th May 2017 and they really rocked the laid back, beach vibe that carries through the whole of their gorgeous day. 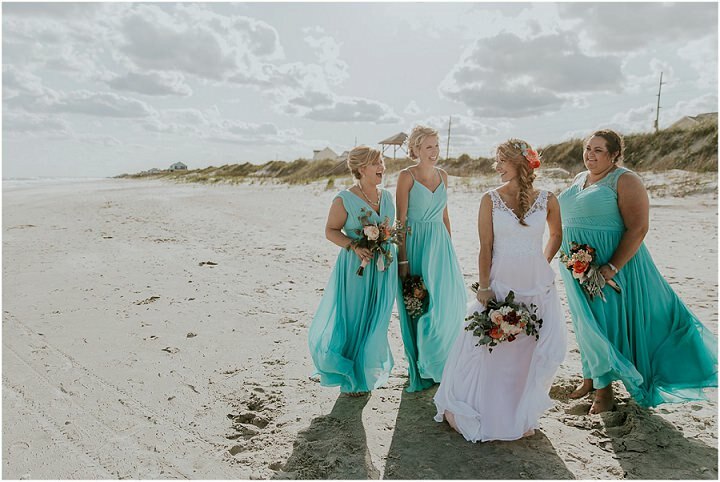 The colour scheme of coral and aqua really pop against the blue sea and white sand and Jessica and Jason couldn’t look happier, as they say their vows and dance the night away under the stars. 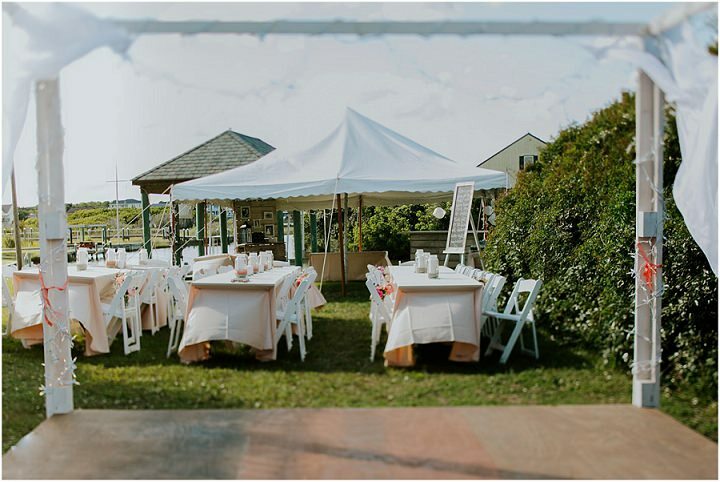 Big thanks to Sarah Joann Photography for the lovely photos. 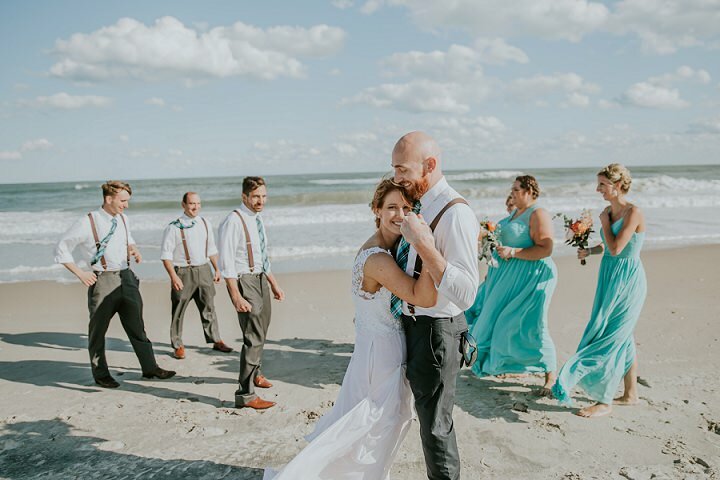 Jessica and Jason traveled all the way from Albuquerque, New Mexico to get married on the sandy shores of North Topsail Beach, NC. 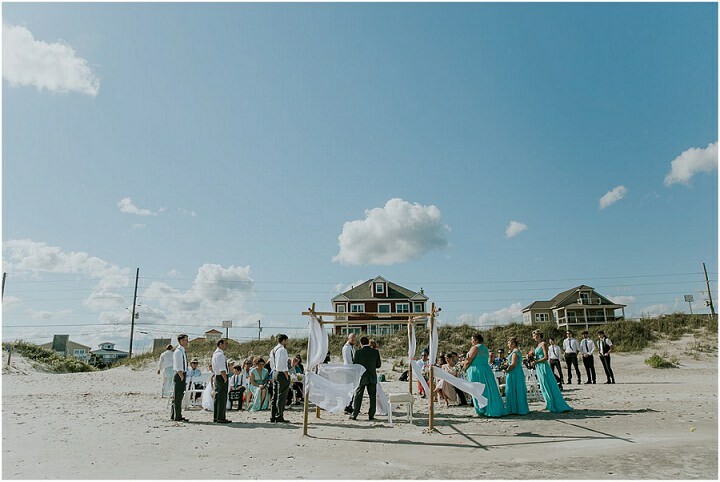 It couldn’t have been a more perfect backyard beach wedding! 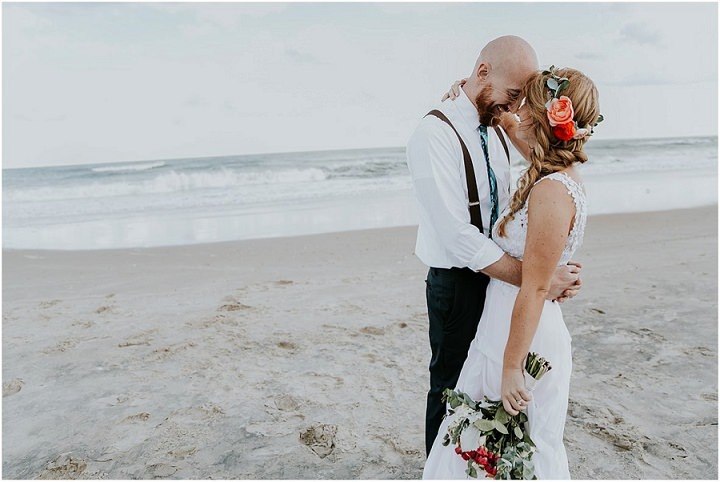 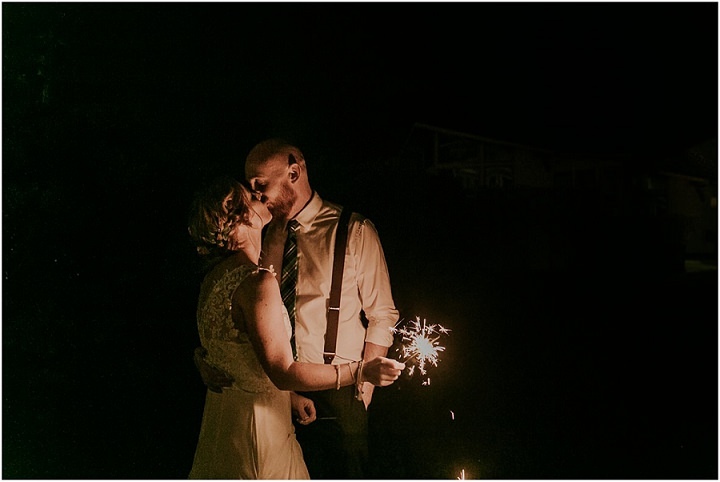 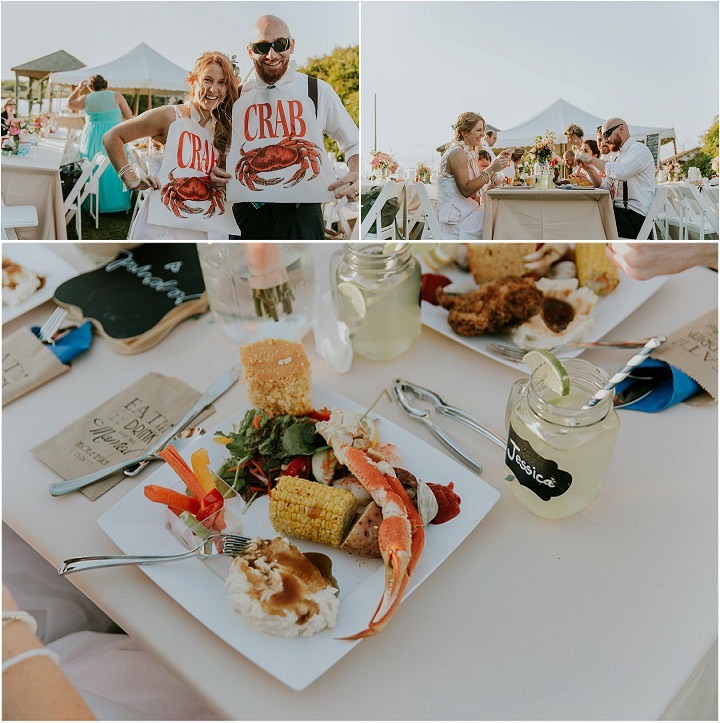 After their seaside ceremony, they headed back to their beautiful beach rental house for the best backyard wedding reception you’ve ever seen! 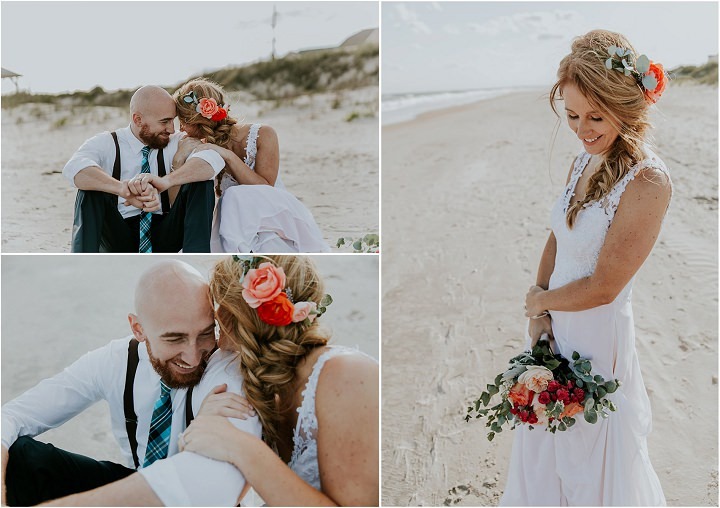 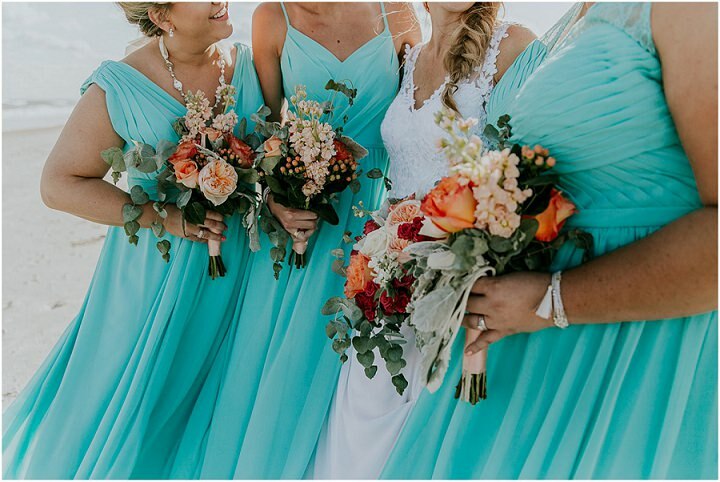 Their day was full of billowy beach clouds, true love, close family & friends, a delicious seafood dinner and coral & peach tones with pops of aqua! 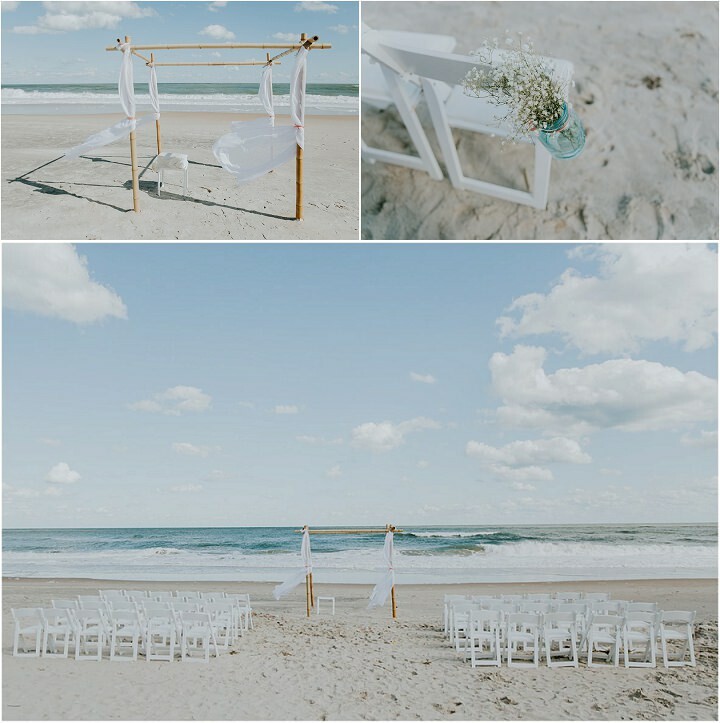 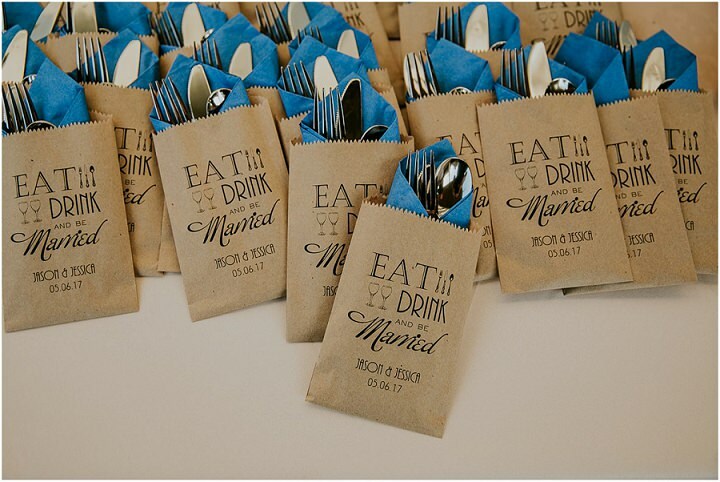 It was the perfect color scheme for a beach wedding! 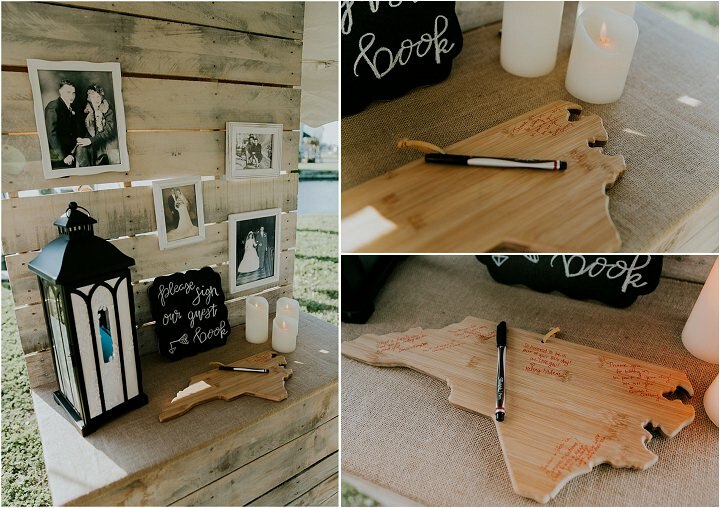 There day was also filled with something near & dear to my heart….awesome DIY projects! 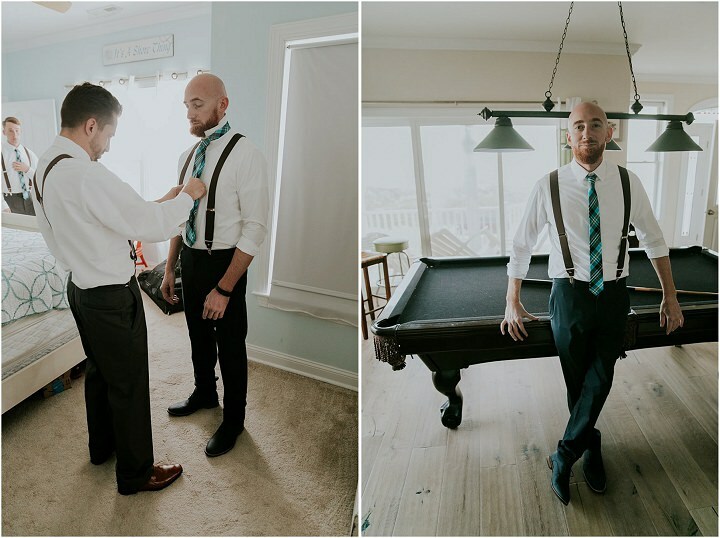 And when I say awesome…I mean….awesome! 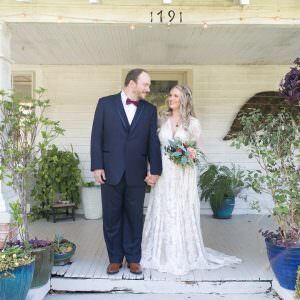 Jessica’s dress was made by her mom (how cool is it to wear a wedding dress your mom made? 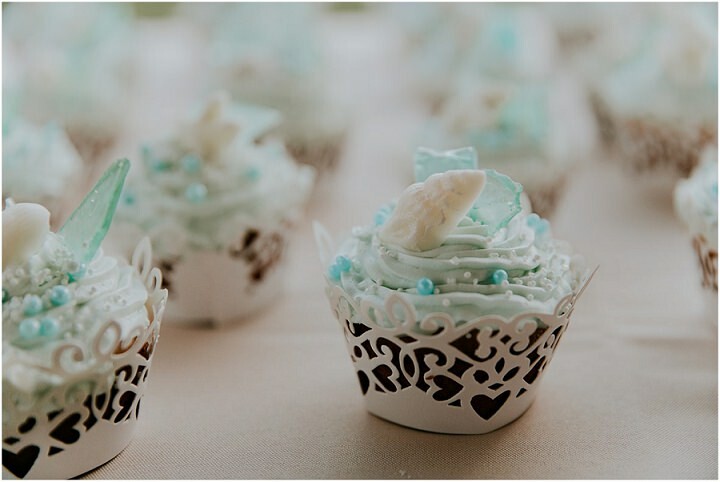 and a beautiful one at that!) 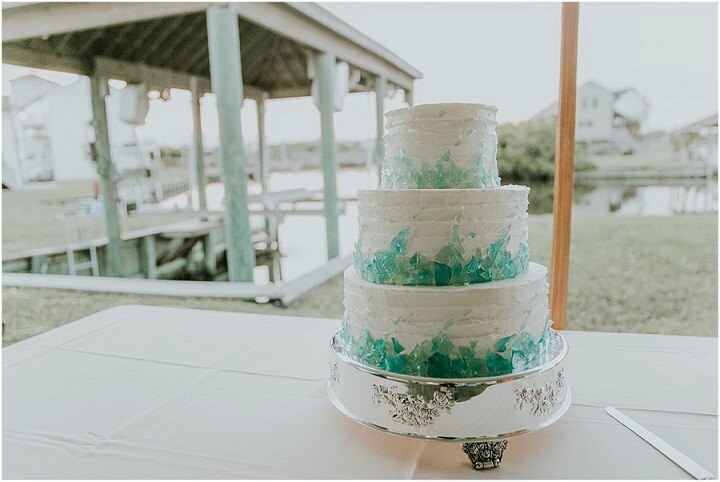 Their stunning turquoise sugar sea glass cake was made by the groom’s mother, and they were married by the groom’s dad! 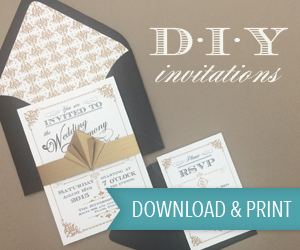 The bridesmaids gathered together to make all the wedding decor & signage. 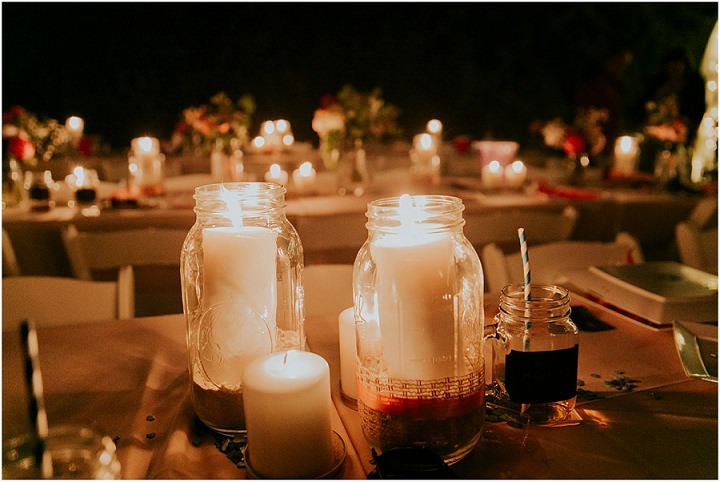 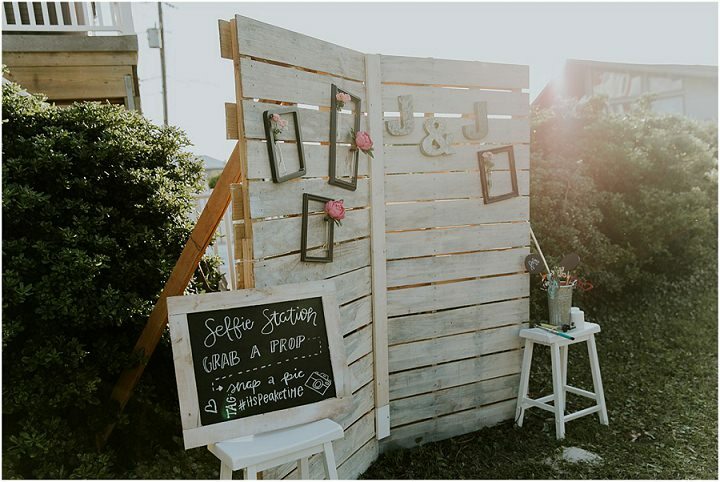 And the bar, the selfie station, and even the dance floor were all DIY! 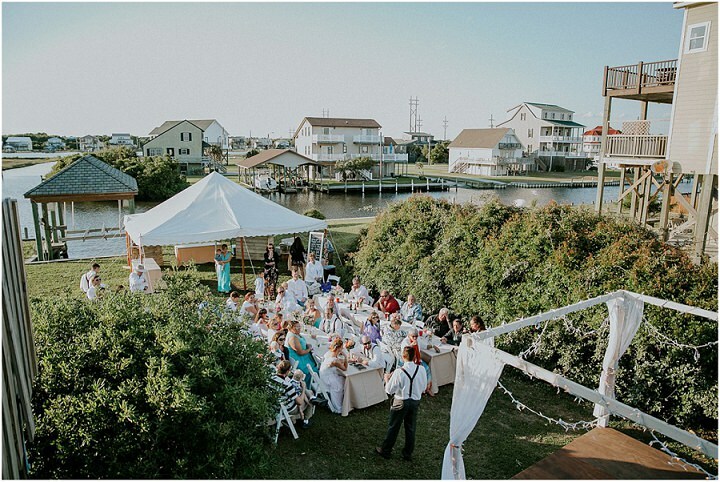 They had a live band -Captain Ivory, out of Nashville, traveled down to the beach to add to the fun of the day. 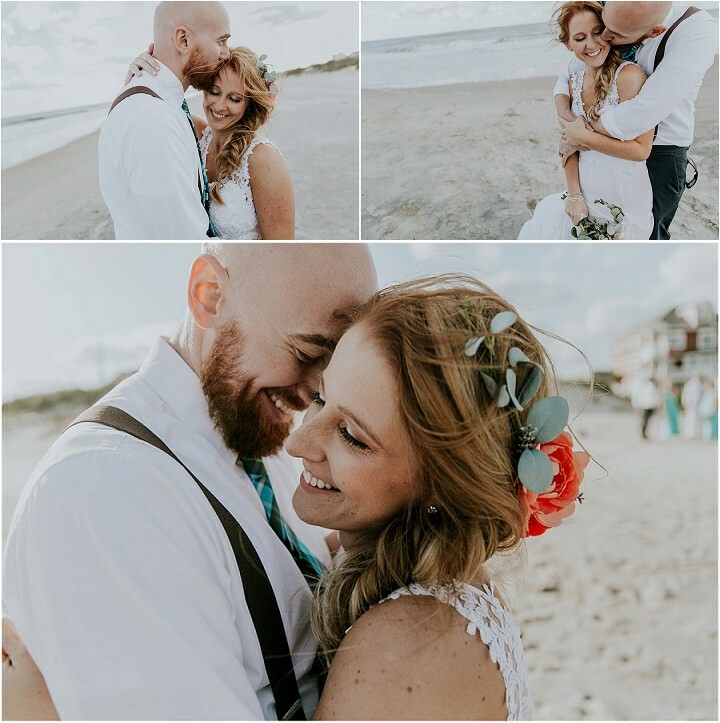 You really couldn’t have asked for a more meaningful & memorable day! 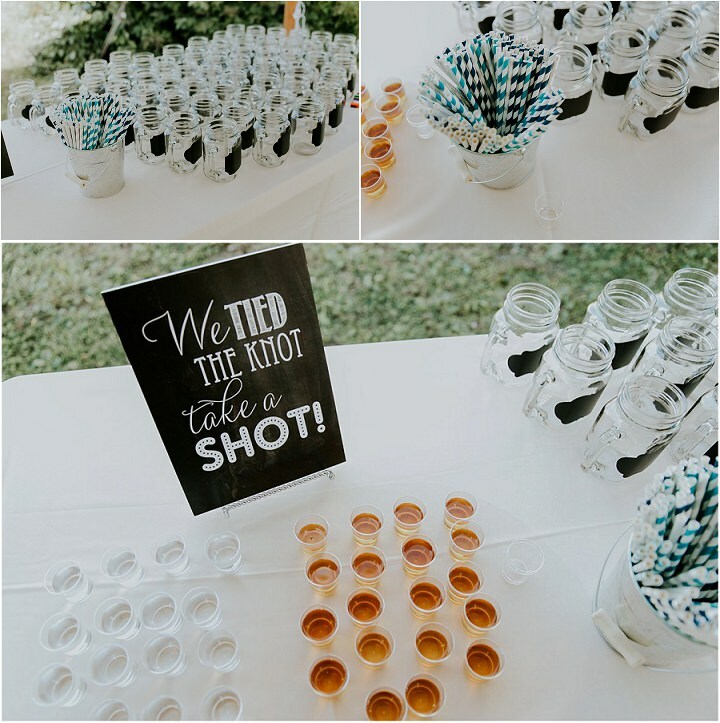 Spunky & Fun! 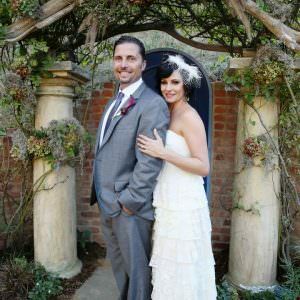 That is how I would describe Jessica & Jason! 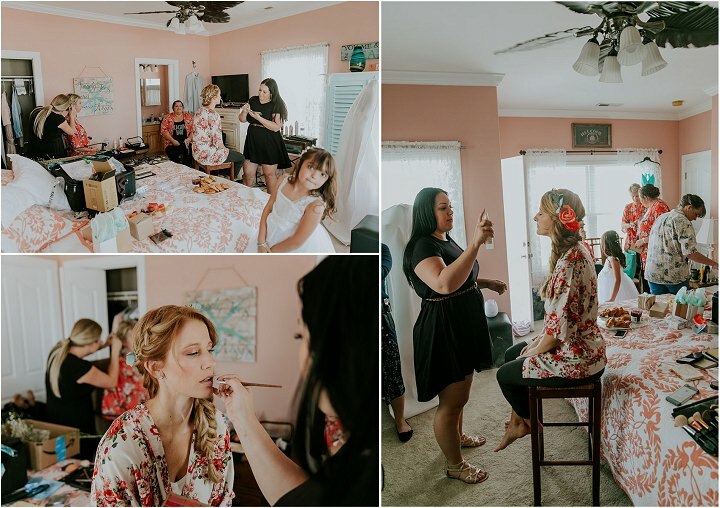 And their personalities echoed through out their day! 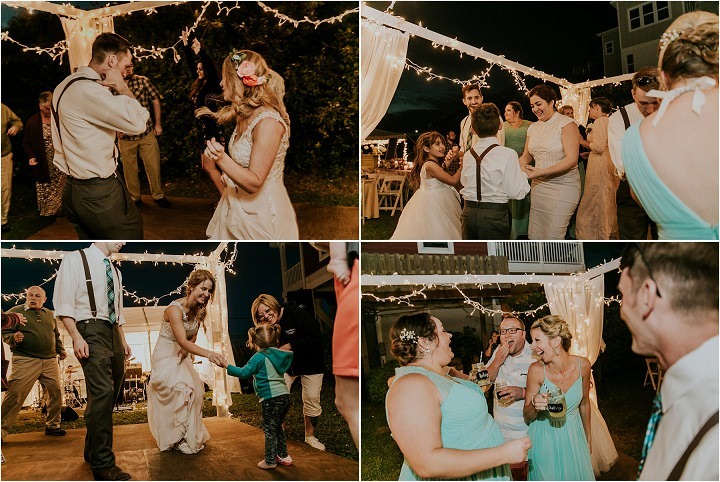 From first meeting Jessica while she was getting her DIY boho inspired wedding dress on, to tequila shots at the end of the night by sunset…..this was an awesome wedding to be a part of and my heart was filled with joy to capture it for them! 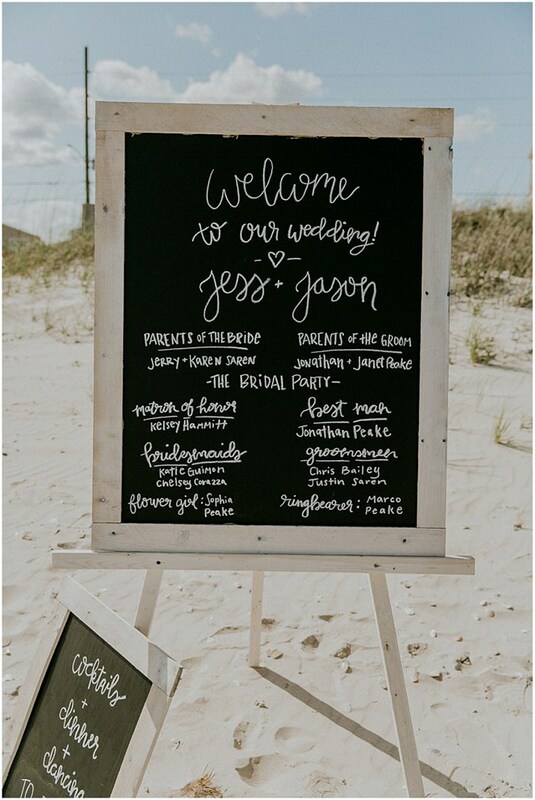 Congratulations to Jessica and Jason for a wonderful wedding. 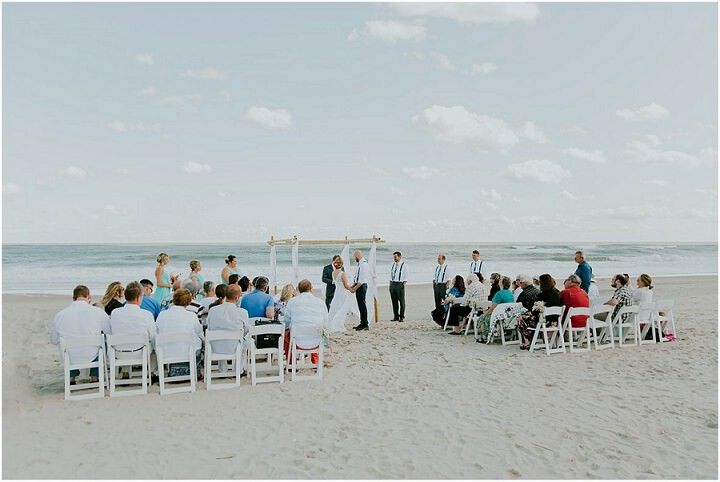 Beautiful pictures and a stunning setting.